The industrialised, urban and classy territories of Western India are India's another dazzling identity, which can be explored by choosing trusted India Tour Operators. Endowed with colonial monuments, caves, sun-kissed beaches, and religious ambience and of course, the much awaited monsoon rains; Western India has its own personality. Basically including Maharashtra, Goa and Gujarat, this region is embroidered by the Thar Desert, Arabian Sea, Vindhya Range and the Deccan Plateau. The striking feature of Western India includes the rich blend of both North and South India. Tourists from all over the world fancy exploring Goa-the party paradise of India. 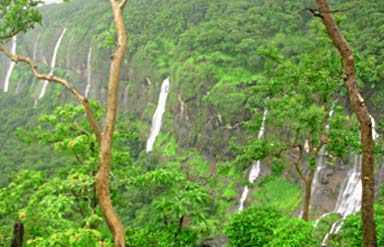 Explore the illustrious beauty of Western India with Goa with South India Tour, Ajanta Ellora Tour and Explore Saurashtra Tour. 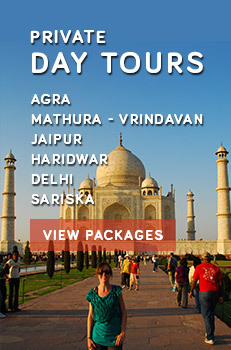 Make sure that the right India Inbound Tour Operator assists you in this process. The main cities to embark an indelible journey on include: Mahabalipuram, Tanjore, Ahmedabad, Jamnagar, Junagarh, Sasan Gir, Somnath, Diu, Palitana, Bhavnagar Ellora Caves, Ajanta Caves & Aurangabad. Mostly reliant on tourism, Goa is the land of adventure, party, romance and definitely, a lot of film shootings. With the former Portuguese vestiges, Goa is also influenced with Latin culture. The important tourist locations in Goa include Bom Jesus Basilica, wildlife sanctuary, Baga Beach, heritage homes and Fort Tiracol. One must explore Panaji and the town of Old Goa to feel back into the medieval times. 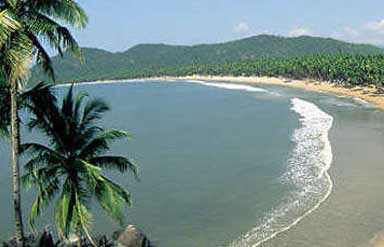 You can also scan the travel guide provided by Online India Travel Agents to know more about Goa’s history and culture. The main festivals celebrated in Goa include Winter Carnival, Christmas and definitely the New Year. The Anjuna Flea Market is the best shopping destination in India. Pottery, metal work, bamboo articles and traditional jewellery are also loved by tourists. Air: The international airport at Dabolim provides easy international and national connectivity. Rail: The two main railheads are at Vasco da gama and Margao. Road: State tourism buses connect the different cities of Goa with the neighbouring states. The dazzling, bustling and colourful metropolitan state of Maharashtra lies at the Western coast of India, embroidered by the Arabian Sea. With years of historic sea trade narratives, this state is also known for interesting works in art, cinema, literature and politics. The pace of life, filled with its ebbs and flows, is different. Including Mumbai- the financial capital of India, there is nothing that Maharashtra can't flaunt off. Tourists also love to explore the colonial legacy of the British past in this state, especially in terms of its rich architecture and entrepreneurial cuisine. Ensure that your Travel Agent in India is well acquainted with every nook and corner of Maharashtra. There are several larger than life festivals celebrated in Maharashtra. Some of them include Ganesh Chaturthi, Kumbh Mela, Diwali and Holi. The cultural festivals include Prithvi Theatre Festival, Ellora Festival, Sursingar and Drama Festival. Kohlapuri Chappals, jewellery items, attires and paintings are few incredible shopping features in Maharashtra. Air: Airport is available at Mumbai, both at Santa Cruz and Sahar for both domestic and international travel. Rail: The Central and Western Railways connect Maharashtra's states. Road: Well maintained roads and National Highways connect the cities and villages of Maharashtra. 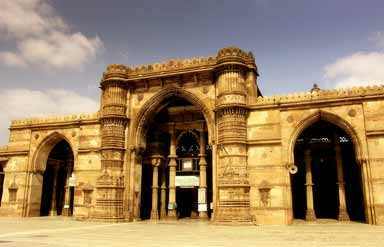 Thronging the border with Pakistan, Gujarat flaunts a rich, nostalgic and impressive history. Tourists love to explore the religious quotient of this land, starting right from the time of Lord Krishna. The state is further linked with the Indian Freedom Struggle with the birth of India's protagonist- Mahatma Gandhi. If West Bengal is known for Bengal Tigers, Gujarat is known for Asiatic Lions. The rich cultural history of Gujarat paints its rich diversity. The traditional festivals of Gujarat are the International Kite Festival, Chitra- Vichitra Fair, Krishna Janmashtami, Gandhi Jayanti and Navratri. Tribal silver jewellery, figurines, paintings, furnishings, shawls and dye scarves are the essential shopping attractions in Gujarat. Air: Domestic airports are present in Bhavnagar, Surat, Vadodara, Kandla, Keshod, Ahmedabad and other centres. Rail: Super fast, mail and express trains connect different parts of Gujarat. Road: Highways and roads in Gujarat connect the villages and cities with each other.